This glamorous Yaron Mikado wedding ballgown is every princess’ dream come true. 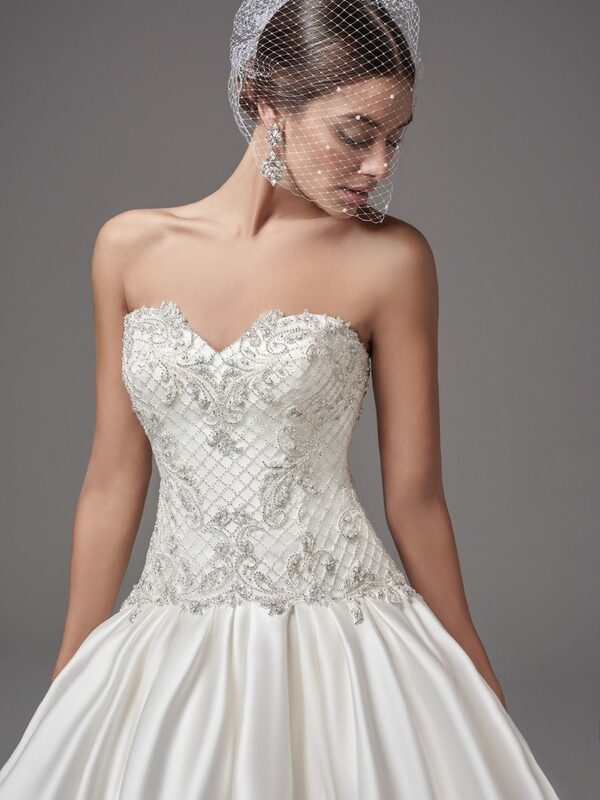 This beautiful gown features a sweetheart neckline bodice is adorned with jewels in a crosshatch embroidery, beaded lace motifs, and shimmering pearls. This pleated princess ballgown skirt has pockets at the dropped waist and finished with pearl buttons over zipper and inner corset closure at the back.